In 1943, by a Delhi University act, Non-Collegiate Women's Education Board was established, where in women students were enabled to take some of the examination of the University with special coaching but without attending regular classes. This gave shape to the Non-Collegiate Women’s Education Board (NCWEB).The Board began functioning in September, 1944 with 3 students. At present, the enrolment is more than 24,000. Only women students residing in the National capital Territory of Delhi can enroll themselves as students of the Board. 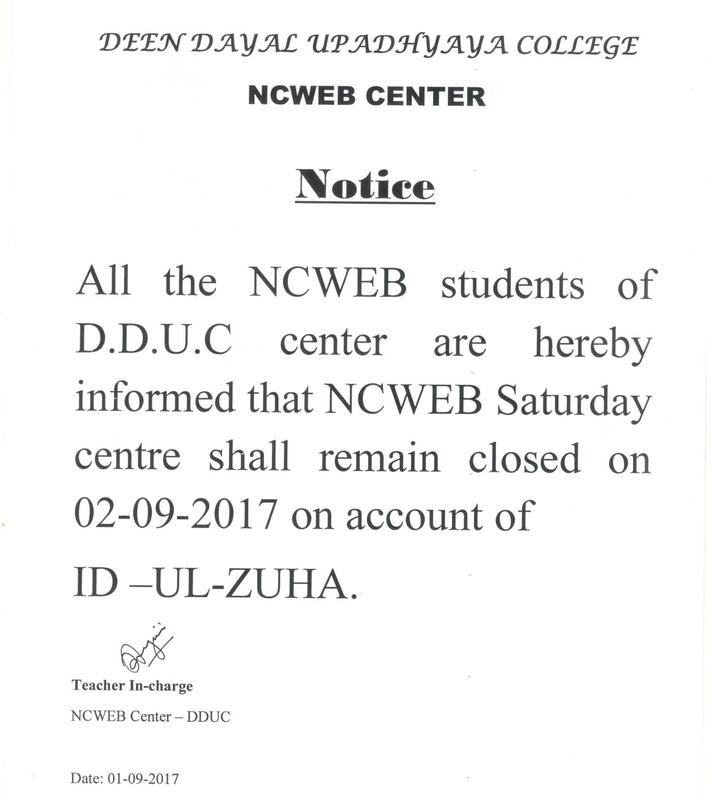 The college started its NCWEB chapter in July 2017 by admitting 450 students in two courses BA and B.com . The classes are held on Saturdays and during academic breaks. This leaves students with ample time to work or pursue other goals . The students are not only given exposure of academic life but also co -curricular activities. The Teacher In charge Dr Jayini Adhyapak along with her team got two important workshops done- one on Gender Sensitization through an NGO Breakthrough and the other on Confidence Building and Memory Techniques. The students showcased their artistic capabilities in the cultural Festival RUNG 2018 held on 27th January 2018.